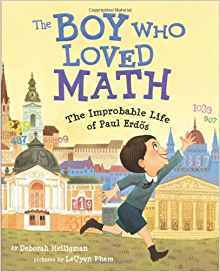 KEY CONCEPT: The life of mathematican Paul Erdos. DESCRIPTION FROM THE PUBLISHER: Most people think of mathematicians as solitary, working away in isolation. And, it’s true, many of them do. But Paul Erdos never followed the usual path. At the age of four, he could ask you when you were born and then calculate the number of seconds you had been alive in his head. But he didn’t learn to butter his own bread until he turned twenty. Instead, he traveled around the world, from one mathematician to the next, collaborating on an astonishing number of publications.